Andrei Ivanovich Borisenko, born April 17, 1964 in Leningrad, is a Russian civil engineer and Test Cosmonaut with one prior long-duration mission to the International Space Station completed as part of Expedition 27/28 in 2011. Andrei Borisenko completed his education at Leningrad Physics and Mathematics School in 1981, entered Leningrad Military Mechanical Institute the same year and, upon graduation in 1987, he began working as a civil employee in the Russian Navy. He then transitioned to spacecraft-builder RSC Energia to work on the Mir Orbital Complex, gaining flight operations experience by working systems analysis as part of the Main Operations Control Team at Mission Control with particular focus on the station’s Motion Control System. Beginning in 1999, Borisenko started working as a shift Flight Director for Mir, supporting the last two crewed missions to the complex before participating in the preparations for Mir’s destructive re-entry. With Mir at the bottom of the ocean, Borisenko transitioned into ISS flight operations. A medical check in 2002 showed he was fit to become a Cosmonaut and he passed technical testing at Energia, being recommended for consideration by the State Commission. In May 2003, Borisenko was approved as a Cosmonaut candidate and he entered two years of general training and evaluations at the Gagarin Cosmonaut Training Center. Borisenko received his qualification as a Test Cosmonaut in July 2005 and began training under the ISS program. 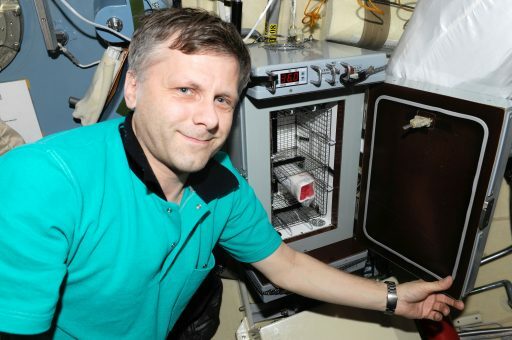 Borisenko was assigned to the backup crew of ISS Expedition 24 in September 2008, but some reshuffles of crews placed him on the Expedition 23 backup crew before transitioning to the prime crew for Expedition 27, an assignment confirmed in October 2009, allowing him to enter flight-specific training. 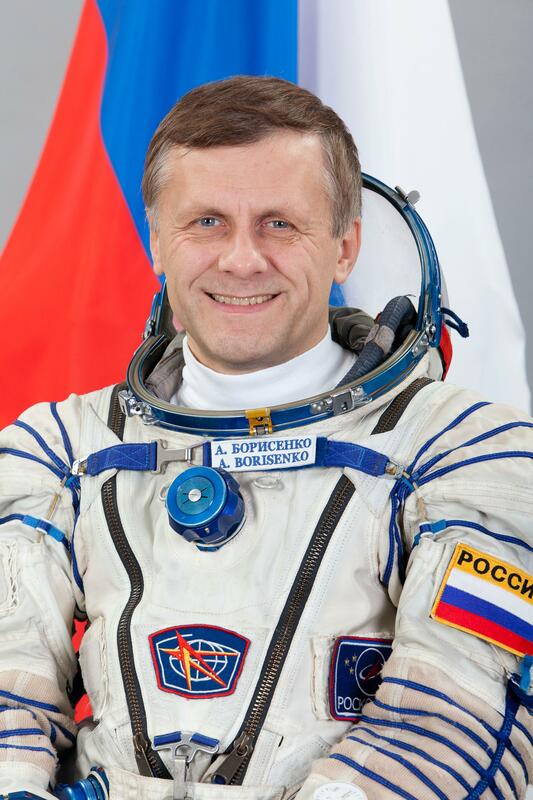 Borisenko transitioned from the RSC Energia Cosmonaut corps to the CTC detachment in an effort to reduce the Russian Cosmonaut group to a single organization. In March 2010, Borisenko and backup crew members Aleksandr Samokutyaev and Scott Kelly passed pre-flight exams with excellent results and were on standby for the launch of Soyuz TMA-18 in April. 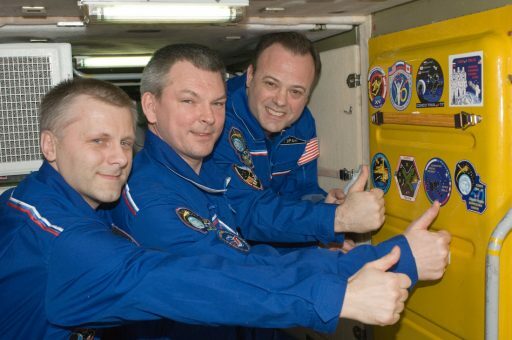 Now assigned to his prime crew slot, Borisenko entered flight-specific training with his crew, Aleksandr Samokutyaev and Ron Garan. 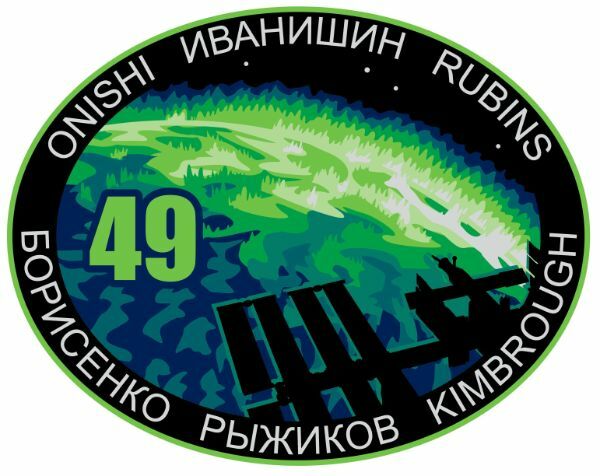 They passed pre-flight exams in Soyuz and ISS operations in March 2011 and were approved for launch aboard the Soyuz TMA-21 spacecraft, heading to the Baikonur Cosmodrome two weeks before their launch. Soyuz TMA-21 launched on April 4, 2011 atop a Soyuz FG rocket that successfully carried its three crew members into orbit. Docking at ISS two days after launch, the three crew members were set for a six-month stint aboard the orbiting outpost joining Dimitri Kondratyev, Cady Coleman and Paolo Nespoli who were already aboard ISS. The crew of Expedition 27 supported the daily experiment operations conducted aboard the orbiting laboratory and continued the ongoing outfitting and assembly of the International Space Station. The six crew members oversaw the departure of the Progress M-09M spacecraft and the arrival of the next Progress cargo craft that made an automated docking to ISS. In May 2011, the crew welcomed Space Shuttle Endeavour on its final mission to ISS. STS-134 delivered the Alpha-Magnetic Spectrometer to ISS as well as an Express Logistics Carrier and the Orbiter Boom Sensor System. During STS-134, assembly of ISS was declared complete, marking the successful conclusion of the long ISS assembly process. The crew of Soyuz TMA-20 packed up while Endeavour was still docked to ISS. Undocking and retreating from ISS, the Soyuz crew members were treated to a unique sight with Endeavour docked to ISS, acquiring a series of iconic photos, taking advantage of one of the final chances to see a Shuttle docked to ISS before the program ended later in 2011. Endeavour departed ISS in late May, leaving only three crew members aboard ISS until the next Soyuz in line, TMA-02M, brought Sergei Volkov, Mike Fossum, and Satoshi Furukawa to the station. The crew supported the departure of the second Automated Transfer Vehicle and the arrival of the Progress M-11M spacecraft before greeting Space Shuttle Atlantis, making the final ever Space Shuttle mission. STS-135 stayed at ISS for nine days, delivering a bulk of internal cargo items via the MPLM Rafaello. The mission featured one EVA. In August 2011, Aleksandr Samokutyaev and Sergei Volkov performed a 6-hour 23-minute spacewalk completing a variety of tasks on the exterior of the Russian segment. Soyuz TMA-21 returned to Earth on September 16, 2011, bringing Aleksandr Samokutyaev, Andrei Borisenko and Ron Garan back to Earth after a 164-day and 6-hour mission. 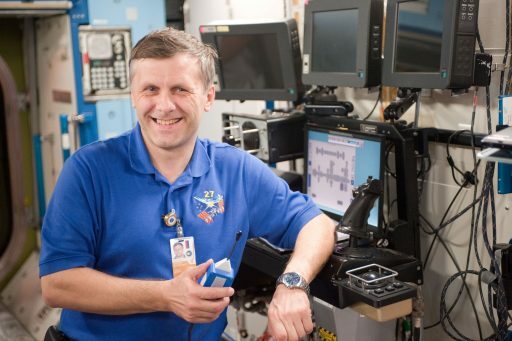 After post-flight operations, Borisenko re-entered general training operations and supported ongoing ISS Flight Operations. In early 2013, he was appointed the head of the Test Cosmonaut Team at the Gagarin Cosmonaut Training Center. 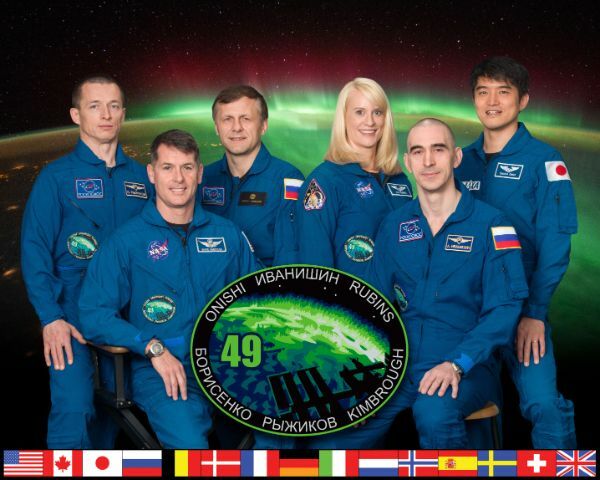 Borisenko received his next flight assignment in December 2014 as part of the backup crew of Expedition 47/48 and the prime crew of Expedition 49/50 in 2016. 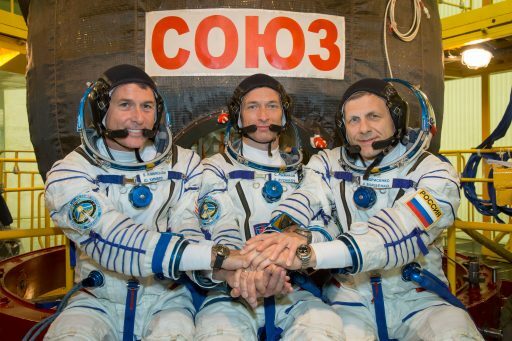 The trio entered training operations in January 2015 to prepare for flight specific tasks and receive in-depth systems training for both Soyuz and ISS. They completed two days of survival training in a forest near Moscow to prepare for the event of a winter landing in a remote area. Training for a water landing was conducted at the Noginsk Rescue Center in July 2015 over the course of three days, allowing the crew to be familiarized with heat-protective and diving suits and other survival gear on board the Soyuz. Flying to ISS for a five-month mission, Borisenko will serve as a Flight Engineer on the Soyuz and International Space Station.